Life does change when you become a parent. All of a sudden you are responsible for a new life that completely trusts you to make every single decision on their behalf. You are responsible for some tiny person’s likes, dislikes, happiness, health, wellbeing and what not! I wanted to be a mother as soon as my baby brother was born! And to some extend, I feel that I am his second mother. So I was well prepared for motherhood as soon as I turned six and half years old! So my heart burst with joy when I came to know that I was carrying a beautiful, tiny life in my womb! I talked to him, sang to him, read to him, hugged him, jumped with him, kicked with him, laughed with him and loved him all those nine months plus one day!!! And then he was here, making our world upside down and taking us on a mad roller coaster ride. The first few weeks were rough as he was still in special care unit fighting for his dear life! It broke my heart every time when I looked at the tiny life put inside the plastic box with hundreds of wires, needles and tubes connected to his fragile body. No mother, or father for that matter, should go through the pain of watching their small baby fighting to survive! It breaks your heart and shatters it into billions of tiny pieces. When HD wheeled me to show our lil dumpling for the first time I was not prepared to go through what I was about to see in next few minutes. It took me a while to see the beautiful face of my child with pink lips and glorious mane of jet black hair, who had tubes going through his nose, hands, legs, stomach and where not. He was in an incubator, under a blue light, hooked to gigantic machine with alarm that kept beeping once in every few minutes. I didn’t know what to do at that moment. The tears just kept rolling down my cheeks and I felt kind of numbness envelope my whole body and later, my soul! And then, slowly as if he felt our presence, our lil dumpling opened his eyes. I fell in love again, hopelessly, and there was no coming back. This time it was a selfless love which won't demand anything in return. It was his bright eyes that lifted our spirits and gave us confidence for the brighter and better days ahead, filled with love, laughter and happiness! But the journey was long and painful… Our heart kept shattering when I was discharged from hospital after 5 days and we had to leave our tiny darling in hands of ‘good’ strangers! Just few hours before I was discharged, our lil dumpling too got freedom from some of his tubes and wires. That meant we could at last hold him close to our hearts! Words fail me to describe the moment when I first held him close to my heart! This time the tears I shed were the tears of joy, tears of love and tears of being a mother to this wonderful life in my arms. It was not easy to pack my bags and go back home without our bundle of joy in our arms! Every day we would go to the hospital, me walking with difficulty with the painful stitches on my stomach, to see a tiny tot who was half conscious with all the medications! It was difficult to leave the sleeping baby after cuddling him, caressing his soft pink cheeks, feeding him and then rocking him to sleep! He would grab our fingers tightly as if he knew we would leave him alone and go away! Yes, our hearts shattered every time we left him alone and walked back home. We slowly started to pick those pieces and put them back together as lil dumpling got stronger day by day and it was completely healed on the day when we brought him home 15 days after he was born! Our life after that was also not very smooth… There were deep cracks and large pot holes on the roads of our journey when we had to rush him to hospitals in the middle of nights. There were some hair pin curves, dangerous slopes and red lights when lil dumpling had to go through numerous blood tests, MRI scans, and some serious tests that I rather like to forget! But every single moment spent with him made us realise how blessed we are to have him in our life. It was he, who made us realise how fragile a life could be, how we must enjoy our present and grab every single good thing that life throws at us with both our hands. In the beginning, whenever I looked at the fragile body confined with in a plastic box, connected to hundreds of tubes and wires, I asked myself, why our lil dumpling? What bad thing has he done to any one? HD and me, we have not done any harm to anyone and never ill wished for others! Why us? It took me a while to understand that our life is like a coin with two sides, one side has happiness printed on it and other side has sadness! We have to go through it all. We are not perfect. So how can we expect our life to be perfect? What goes around should come around! That’s the way of life… At that moment all my negative thoughts turned to positive thinking. We had two options left, either sit and cry thinking about every bad thing that was happening in our life or be strong and positive for our baby. We chose the latter as our lil dumpling showed us never to give up without a strong fight. We had all our family and friends support who prayed and wished for our lil dumpling day and night! And all those prayers and well wishes did their magic and lil dumpling is not just alive, stable and is at home but also much ahead in reaching his milestones compared to the kids in same age group! He is now a really happy, healthy, and naughty toddler with full zest for life. Place poha or beaten rice in a colander and give it a quick rinse under running water. Keep it aside until needed. Heat about ½ cup of water and add jaggery to it. 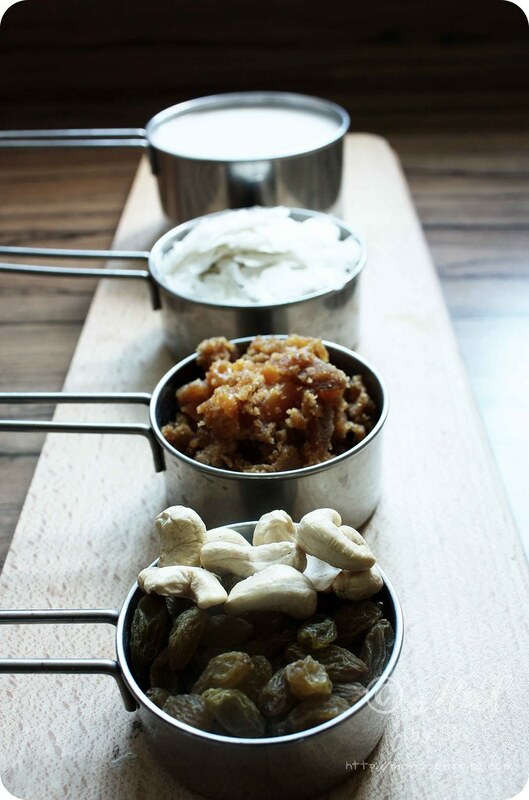 Once the jaggery completely dissolves, in about 3 minutes, pass it through the sieve to remove any impurity. Transfer the jaggery water back into the pan and add rinsed poha. Let it cook for two minutes on medium flame. Next add coconut milk and give it a good stir. Let it cook for 5 minutes, stirring in between, on medium flame. Now add crushed cardamom powder and roasted cashew nuts and raisins. Add little more water, if needed, to get the required consistency and let it simmer for a minute or two. 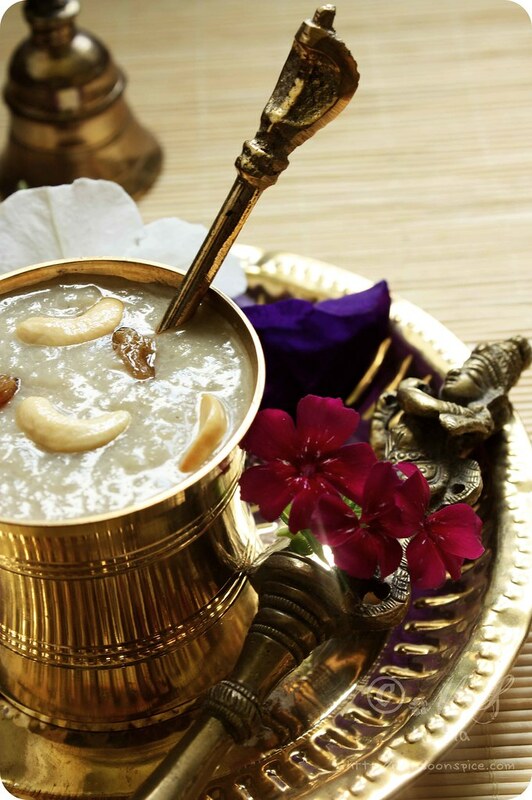 Serve this quick, no fuss and unbelievably delicious Vegan Avalakki Payasa/Poha Kheer hot or warm or at room temperature or chilled and enjoy! You can substitute coconut milk with full fat milk. 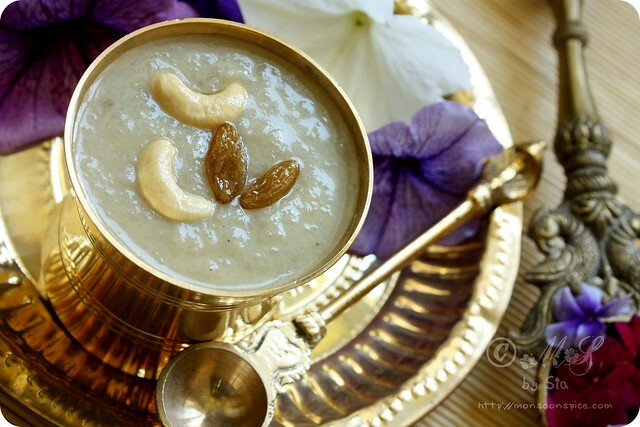 You can also roast the cashew nuts and raisins in ghee to add aromatic twist the Vegan Avalakki Payasa/Poha Kheer. And similarly jaggery can be substituted with sugar. 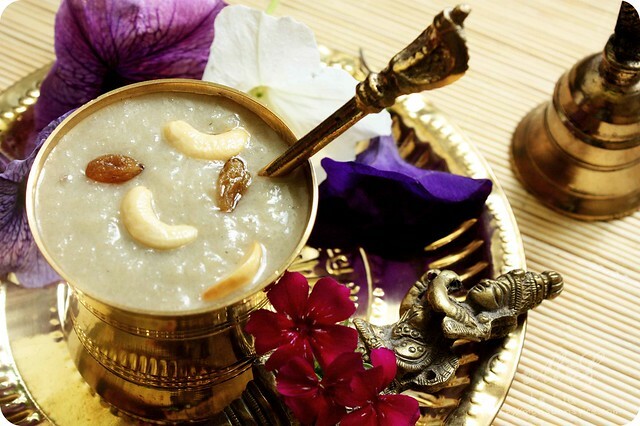 Brought back memories as my son was in hospital for 45 days before he was discharged,so can understand how u must have felt,payasam looks so delicious,.. I totally understand what it must have been to watch your most precious one suffering. How life changes us and our perceptions in a minute-doesnt it? Happy for Little Parth who is hale and healthy now and wish him 100 more years of health and happiness. And of course to you too, awesome mommy! :) A great post from you as always. Oh Sia! what a tear jerking post! I may not completely understand ur pain when u saw ur baby in the incubator, but as a Mother , I can imagine the fear, the anxiety and the hope and I am so happy that today he is a child full of zest and giggles! 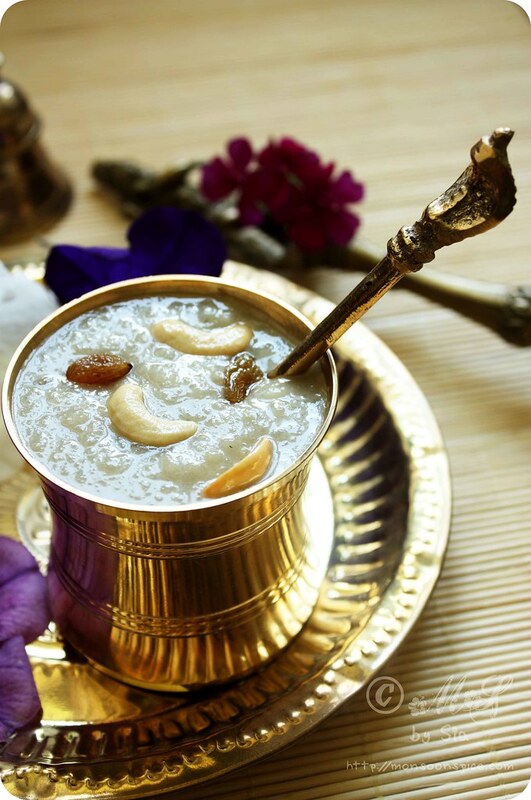 The payasam looks wonderful and i shall try it, my son loves sweets! Her baby's well being thats what a mom wants. You have been through a rough patch and see all the prayers that have followed you and baby.All the very best to all 3 of you! It's amazing just how much we take for granted, isn't it? I think that we learn to value life and become stronger when we are tested to the absolute limit! Having been tested with my health, I can empathize with your pain, Supriya. God bless your family and your little dumpling!! A very emotional post. I went back and read your post from last yr welcoming lil Parth as well. Writing down your feelings from those miserable days just makes you more stronger. I am very happy for you and your family. God bless your lil Parth. A very emotional post. I agree with you that writing down your emotions about those days just makes you a stronger person and reminds every day of your life of how lucky you are. I went back and read your post from last yr on welcoming Parth. Glad to know things are going well for all of you. God bless lil Parth. Hugs to you Sia. That must have been hard. Best Wishes to the little one. i am so glad you are turning to your experiences in a positive way - as a reminder that life is fragile. you are so right about that. A very touching post Sia. Wish you and your lil dumpling good health and an amazing life ahead! Thank you for sharing your struggles. thank you for the simple and vegan Payasa. Hugs and prayers to and your lil kanha! Ohhh Sia! Your post almost brought tears into my eyes.... There is so much to learn in this short and imperfect life!! I have tears in my eyes now after reading your post...The emotional ride you`ll went through as parents is so apparent in your writing..Im sure with all the sacrifices & prayers that followed...ur lil dumpling is truly blessed.. 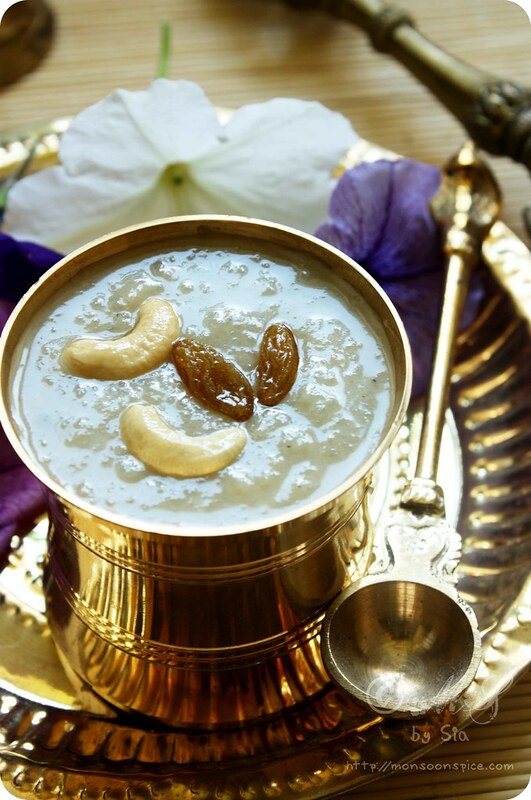 The payasam looks simply fab!! You are a winner in all ways, Sia! What wonderful words to describe love and feelings of a mother. Wish years of good health and happy growing for the little dumpling. Your son is a fighter and he will do awsm in life. I am not mommy yet but I can feel the joy. very beautifully penned post Sia. I was able to imagine and get into the all the emotions. Yes indeed life is fragile and it is hard to see our dear ones in pain but god bless ur little Kanha for the beautiful years to come. beautiful pic, specially the glass you served, it is the same at home and spoon with nagan, took me home! Hello Sia, I read through your complete post and I am touched the way you penned it in words. I am a mother to a 6 month and I can very easily relate the thoughts and feelings that you have been through. I hope you guys have a beautiful life ahead, blessed with good health, happiness and loads of good luck. 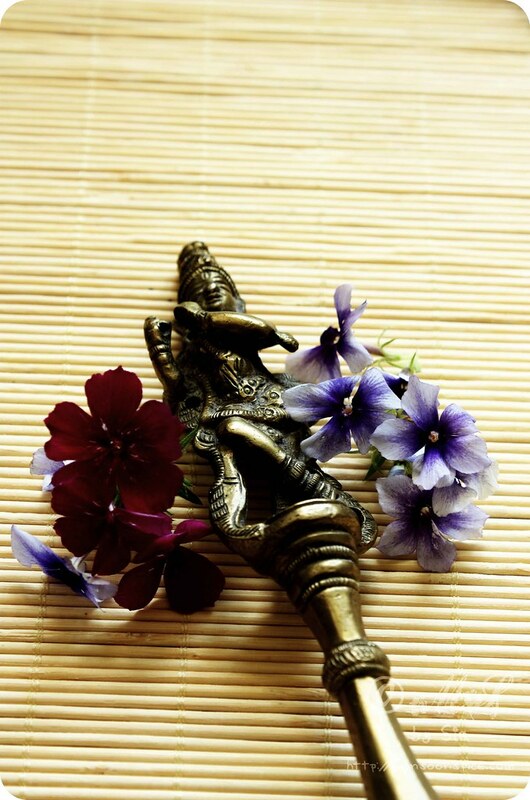 Wishing you a Happy Krishnasthami and forthcoming Ganesh Chaturthi too. The recipe you have posted is simple yet fabulous with beautiful clicks. I read through your complete post and I am touched the way you penned it in words. I am a mother to a 6 month old and I can very easily relate the thoughts and feelings that you have been through. I hope you guys have a beautiful life ahead, blessed with good health, happiness and loads of good luck. Wishing you a Happy Krishnasthami and forthcoming Ganesh Chaturthi too. Was looking for something to make with poha and landed here. Very touching post. I am sure the tough times are behind you. And wishing all of you happy, healthy times ahead. Lovely touching post Sia, god bless your lil Kanha :), wish you and family happiness! Good evening.Mother"s luv. Even I conceived after 6 yrs of marriage. When I held my daughter in my arms after her birth, it was such a tender feeling, I just burst into tears. Thks Sia.for the Paysam & being a part of your post.